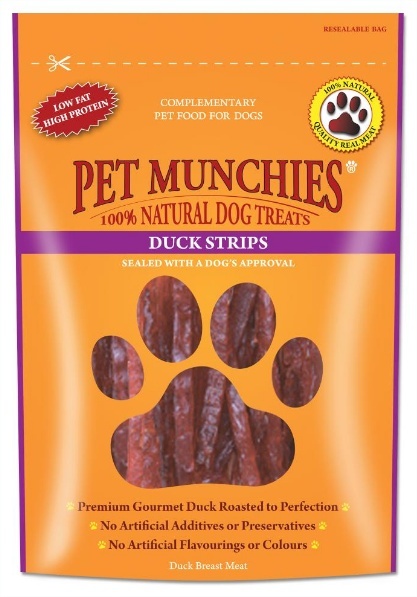 Made from finest quality duck meat, these natural treats are low in fat and high in protein. Slow roasting in their own natural juices preserves the real flavour of the duck. Regular chewing of this exceptional treat will help remove plaque. Pet Munchies are one our favourite natural dog treats - a very healthy choice to use as training treats or rewards.